Here in the Pacific Northwest, we're known for our grey, wet winters. Though the soggy weather sometimes has us longing for drier climes, when captured, all that rain is a valuable resource - especially during our dry summers. 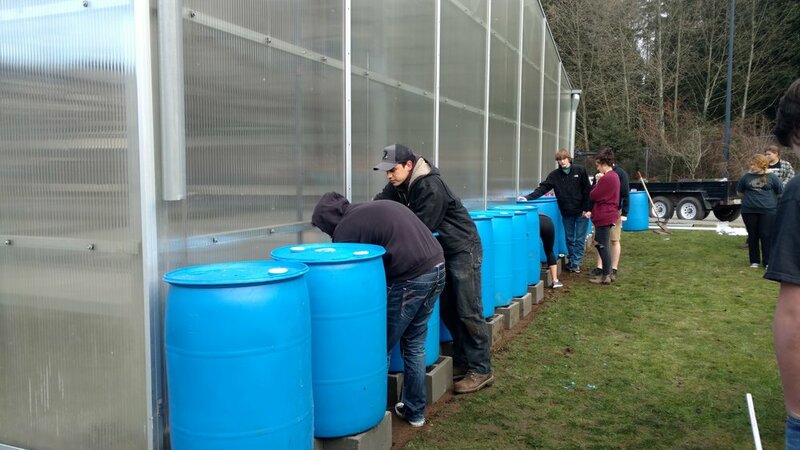 Students at Arlington and Weston High Schools have capitalized on all this "liquid gold" by installing water catchment systems at their schools. On December 1, Weston High School students installed two cisterns made from up-cycled shipping totes. 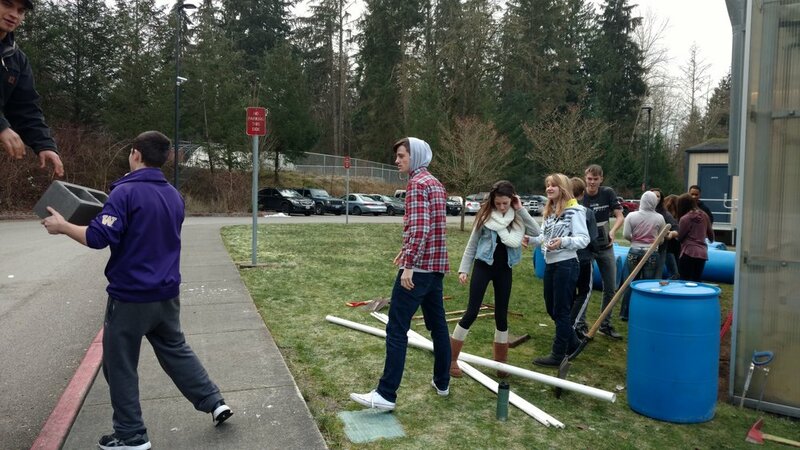 After receiving a classroom presentation on stormwater engineering solutions from District Engineer Derek Hann, students helped measure and align wooden supports to attach gutters to the greenhouse frame. Then, they assisted in installing and fastening the cisterns. The project's unique design will catch, store and reuse 550 gallons of rainwater from the school's high tunnel greenhouse. The water will be put to use during the spring and summer to grow plants in their greenhouse. 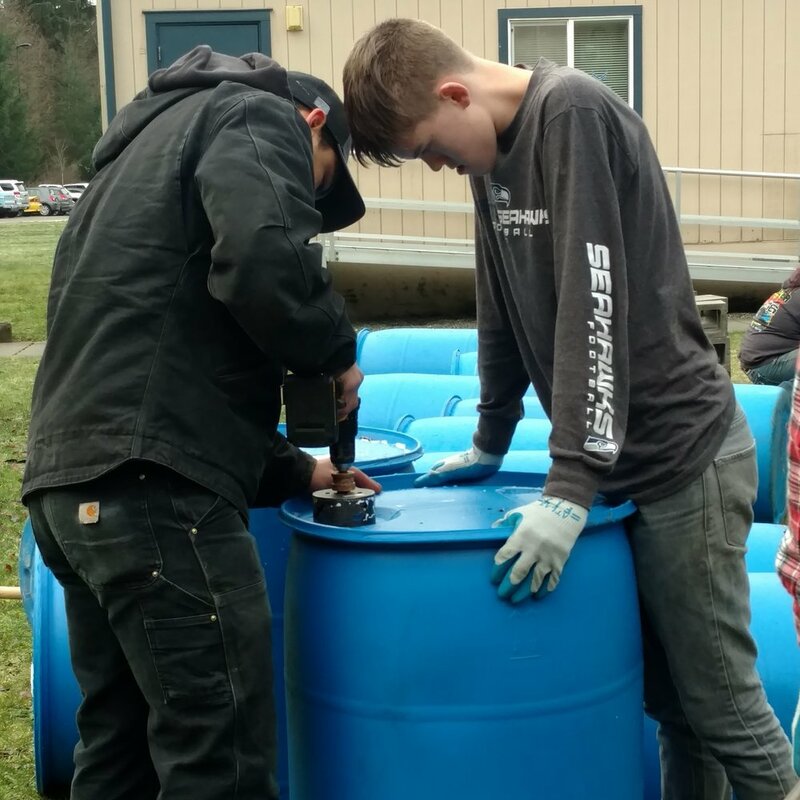 On December 15, one day before heading off for winter break, Arlington High School students rolled up their sleeves and got to work installing a 16-barrel, 880-gallon rain catchment project. 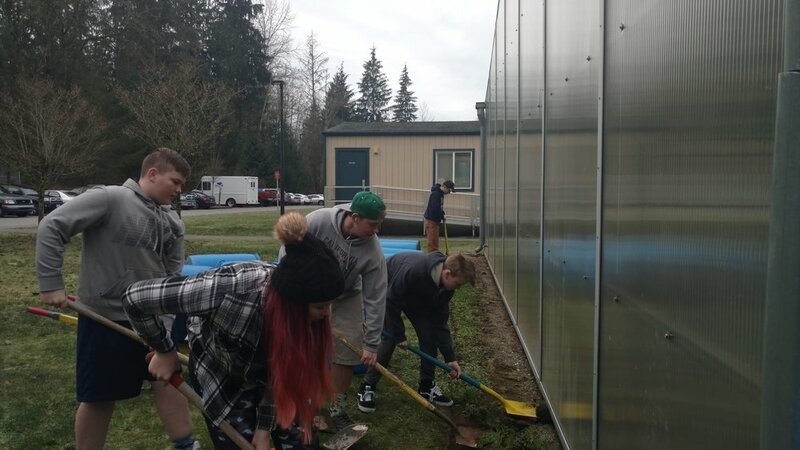 Like Weston HS, students first learned about stormwater issues and water conservation from Snohomish Conservation District staff and then applied their new knowledge to address the issue by installing a system at their school. 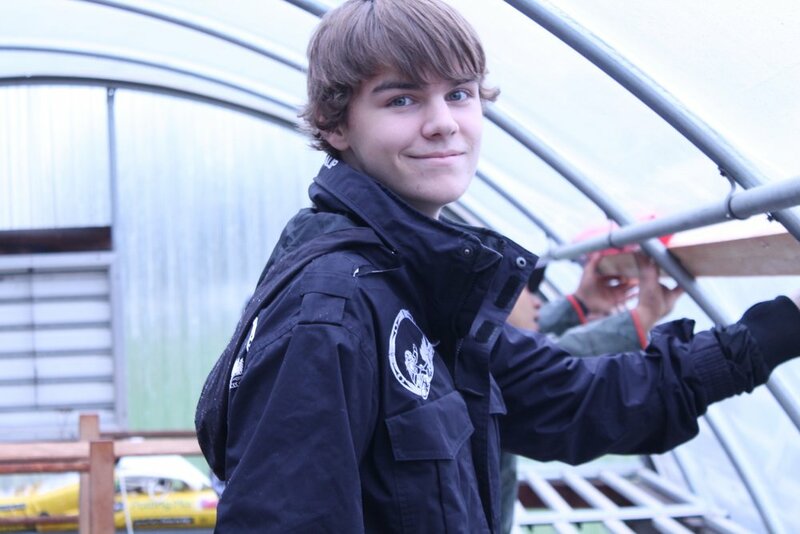 The school's FFA and science classes grow plants in the greenhouse during warmer months, so having a water harvesting system onsite is a huge benefit. These hands-on projects are great examples of environmental project-based learning. Students study local environmental issues - in this case, stormwater run-off and water conservation, and then devise solutions to deal with the issue in their own community. This educational model turns learning directly into action. Students become agents of positive change in their communities, while learning scientific concepts in a memorable way. Funding for both projects was provided by Snohomish Conservation District, the City of Arlington, and National Fish and Wildlife. Interested In Getting Your Own Catchment System? During a 1 inch rain storm, a 1000 square foot roof produces about 550 gallons of run-off! The average home has a 1500 square foot roof. 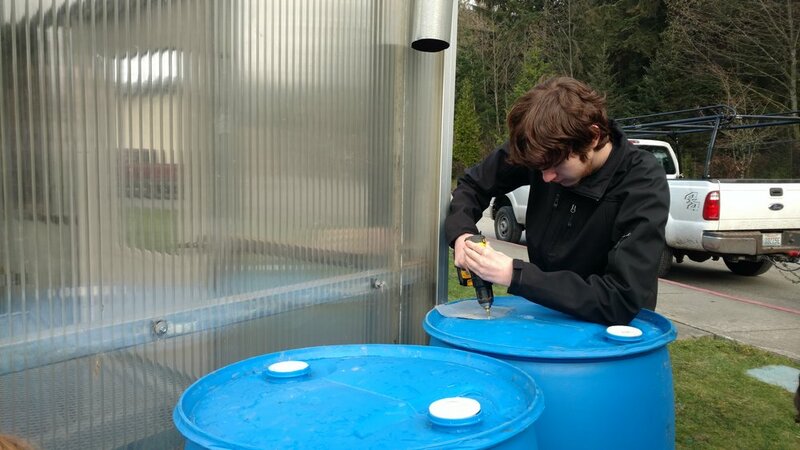 Snohomish Conservation District can help design your system, and we sell individual rain barrels at our periodic one-day sales (The next one will be held at our Annual Native Plant Sale coming up on February, 11th at the Monroe Fairgrounds). What are you waiting for? Learn More!